What if my employer is retaliating against me for filing a workers’ compensation claim? Workers' compensation laws do not only guarantee medical and lost wage payments to injured employees, they also prevent employees from being discriminated against for collecting benefits. If an employer is found guilty of discrimination, the employer can lose the “exclusive remedy” protection of workers' compensation, allowing the employee to directly sue the employer for damages. The Illinois workers’ compensation system protects employees from many adverse actions in the workplace as a result of filing a benefits claim. The law protects injured employees from discrimination immediately after the injury occurs, covering them from adverse employment actions even before the formal workers' compensation claim is filed. Discharge. Terminating or laying off employees who exercise their rights under workers' compensation laws is expressly forbidden. This is known as "retaliatory discharge,” and is grounds for an employee to bring a civil action against his or her employer. Disciplinary action. Employees cannot be placed on leave or denied wages as a result of filing a benefits claim. Demotion. An employee who is forced out of his role or into another position may have a valid discrimination claim. Harassment. Employers may be guilty of retaliation if they discourage an employee from filing a claim, threaten termination, or otherwise harass the employee. Salary reduction. Employers may retaliate by forcing the employee to sacrifice sick hours, paid time off, pension benefits, and other earnings. If you believe that your employer has unjustly terminated or discriminated against you for filing a workers' compensation claim, you may be able to sue your employer for lost wages, pain and suffering, and punitive damages. 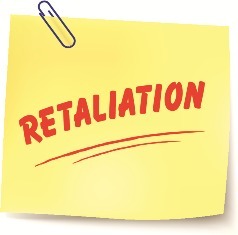 In many cases, employers will often attempt to claim that the reason for the retaliation is unrelated to the filing of the claim. However, the law states that employees still have a valid claim if collecting workers’ compensation benefits was not the sole reason for the discharge. Our experienced workers' compensation attorneys can evaluate your case and advise you on your next steps at no cost to you. Contact Tapella & Eberspacher today at (855) 522-5291 or fill out our online contact form to schedule your free consultation. How Do I Deal With the Workers' Compensation Commission?